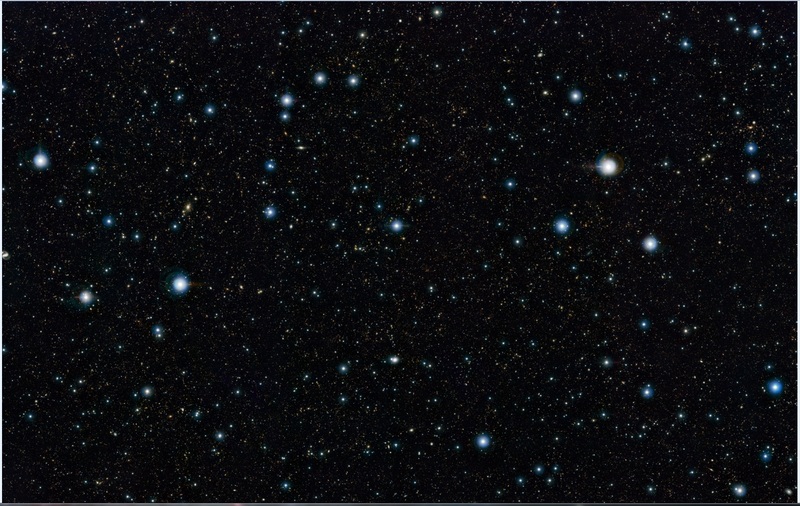 Even when we read about our vast cosmos or peer into binoculars/telescopes to glimpse distant nebulae or galaxies, it is still hard to fathom the true size of the Universe. 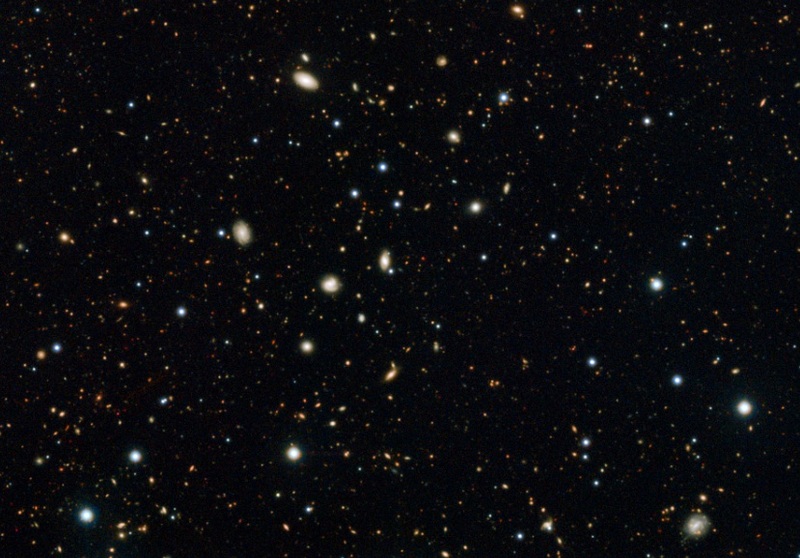 That’s right, over 200,000 galaxies have been identified in one very minor constellation (Sextans) in our night sky that has 88 constellations (many of which are larger than Sextans). 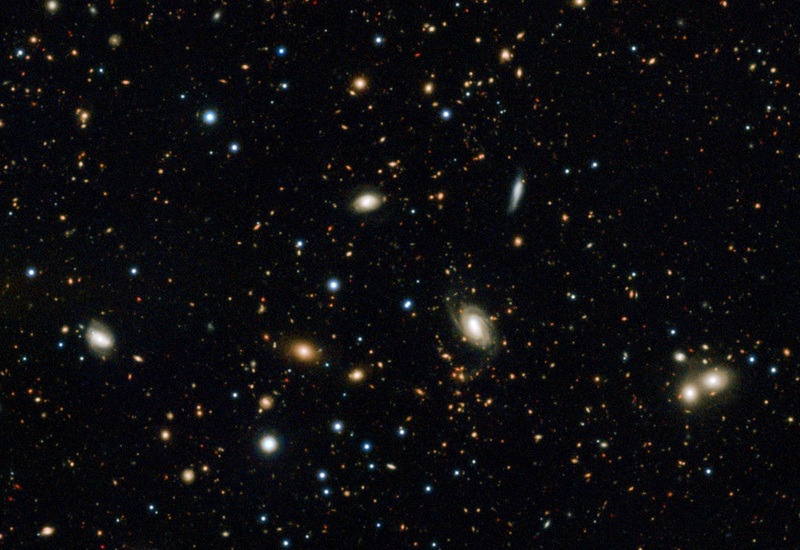 On average, each galaxy contains around 100 billion stars so 200,000 galaxies represent 20,000 trillion stars! And this is just 1 of 88 constellations! 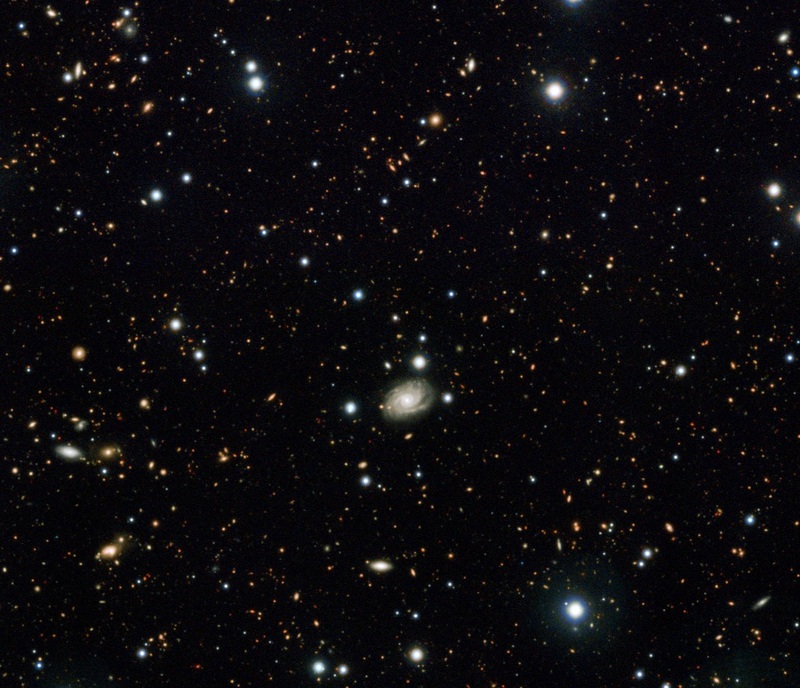 The telescope was trained on this same area of the cosmos for 55 hours and detected photons from various galaxies that are impossible to see with our eyes when peering through a telescope. 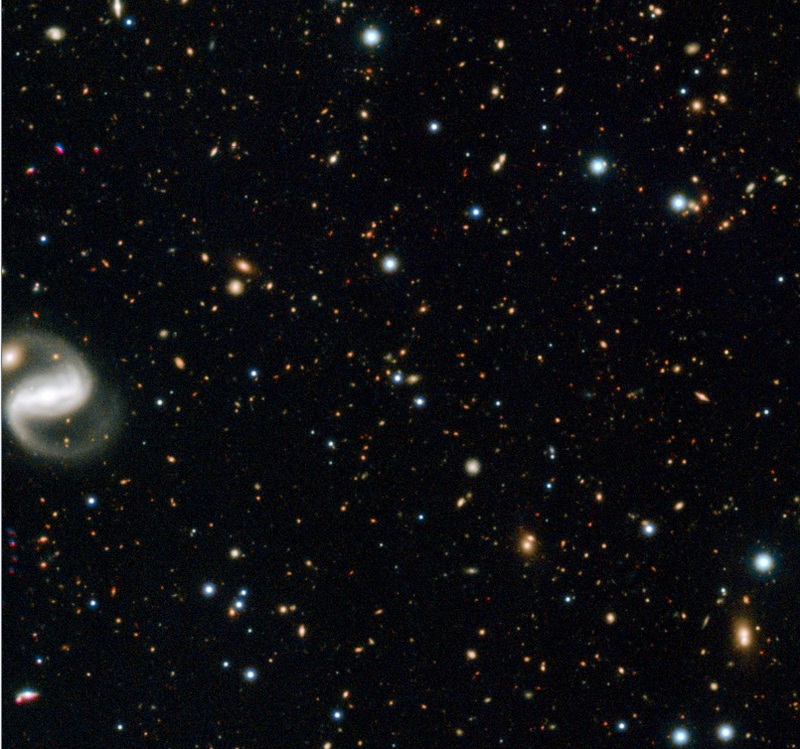 The telescope also looked in wavelengths that our eyes can’t detect (Inrared light) and this additional detail further reveals just how congested our cosmos is when we look deep enough into it. Once you download the full picture, you can then open it up in your favorite photo application and then start panning and zooming to your heart’s content. Prepare to be wowed! Here are a few of my zoomed in screen caps of the photo but since the field is so immense, don’t expect me to tell you how I got there! It is an incredibly humbling experience to view the cosmos and realize we are just a blue dot orbiting a minor star in the suburbs of an average galaxy in a cosmos comprised of millions or more likely billions of galaxies. How many thousands or millions of stars have planets in the habitable zone that have life forms going outside to peer into the depths of space and looking at our galaxy and wondering if there is anyone else out there? Like ornaments hung against a great black velvet curtain. 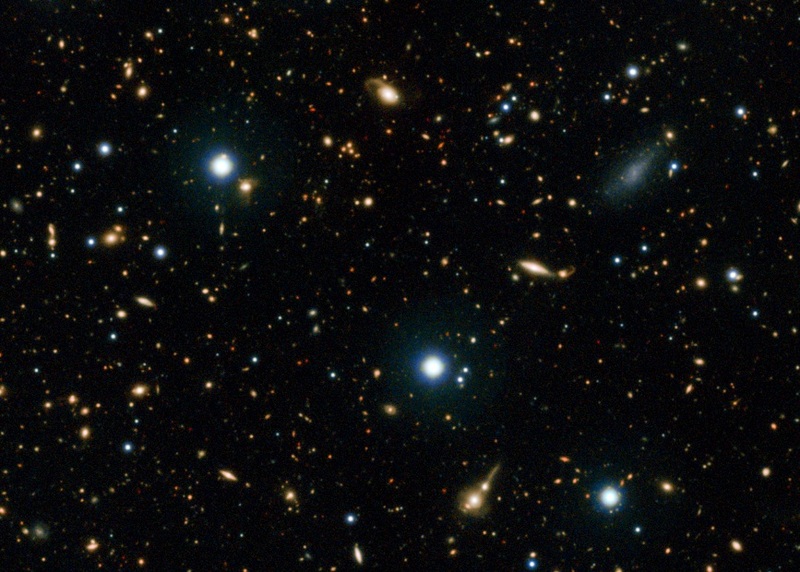 Except each ball of light is made up of hundreds of billions of stars, most as big or bigger than our sun, I’d wager.